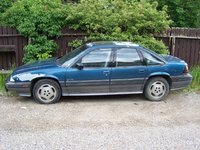 At 96-hp, the 1990 Pontiac Le Mans isn't going to win any races, but it is an affordable personal compact car that benefits from great gas mileage. 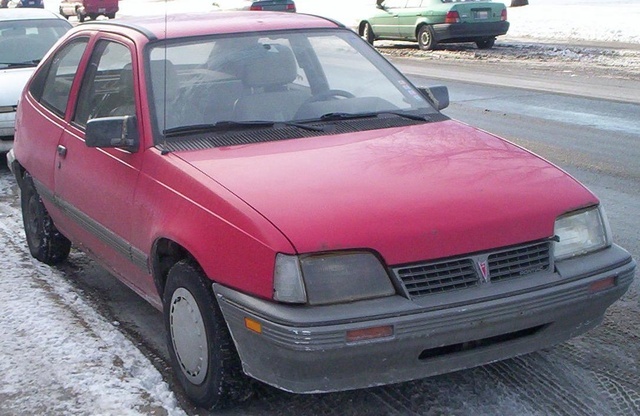 In 1996, the SE sedan is dropped, leaving the LE as the sole 4-door sedan model. The Aerocoupes still come as the base model Value Leader, the LE, and GSE trims. Only the GSE comes standard with the 96-hp, 2.0-liter I4 engine, while the other trims feature the 1.6-liter, 74-hp I4. A 5-speed manual is found in all models, except for the Value Leader, which sports a 4-speed. A 3-speed automatic is optional. Also new in the 1990 Le Mans are better brakes for the Value Leader and LE coupe and the LE sedan. All suspensions get a retuning, and the steering in the GSE is updated. As the base model, the Value Leader comes with seats and power brakes and a rear defrost. The LE coupe and sedan adds on tinted windows. The more performance-conscious GSE gives you a rear spoiler and air conditioning. A roof rack and sunroof are optional on all models. At 27/33 mpg, the 1990 Le Mans is a great starter car or first-time commuter car. It is affordable and practical, if a little dull to look at. Seating four, it is fairly roomy for its size, say owners. But it seems to have a lot of problems as well, particularly with the brakes, and cheap plastic parts that break easily. Repairs can be costly, and those looking to use it as a tuner car say that parts are scarce. 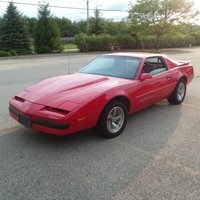 What's your take on the 1990 Pontiac Le Mans? 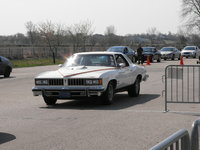 Have you driven a 1990 Pontiac Le Mans?